Amazon is expanding its campaign against fake product reviews posted on its website. 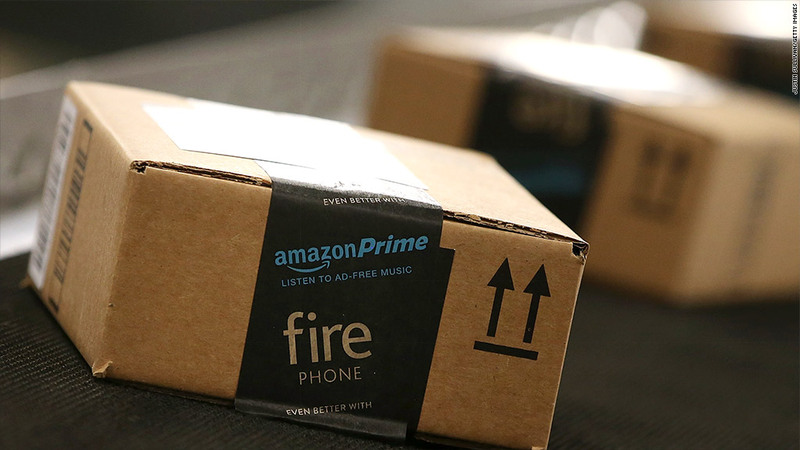 The online reseller is suing more than 1,000 people who are "misleading Amazon's customers" by selling "fake reviews of products," according to a complaint the company filed in a Seattle court on Friday. The lawsuit targets account holders on Fiverr.com, a marketplace for odd-jobs where "gigs" are sold for $5 and up. Amazon (AMZN) doesn't know who is behind the accounts so lists them all as "John Doe" in the suit. "Most of the defendants offer positive or 5-star reviews for Amazon sellers' products. Indeed, many encourage the Amazon seller to create the text for their own reviews," the complaint reads. Court documents say Amazon conducted an "extensive investigation" into the Fiverr users. It claims some tried to dodge Amazon.com's review controls by posting from different accounts and IP addresses. "In at least one instance, the seller of a 'Verified Review' was willing to receive an empty envelop, not the product itself, simply to create a shipping record," the court filing says. "The challenge of merchants soliciting illegitimate reviews is one that faces all marketplaces and online platforms," Fiverr said in a statement. "In fact, in our own marketplace we restrict reviews to only those who we can verify have actually purchased a service." Amazon spokesperson Julie Law said the company uses "a number of mechanisms to detect and remove the small fraction of reviews that violate our guidelines." "We terminate accounts that abuse the system and we take legal action," Lew said.